The most horrible nightmare of every woman is watching how her husband packs his clothes and leaves her. He goes to the young and beautiful lover and visits the children on weekends while his wife is alone and her whole life is destroyed. Don’t you want this happen to you? What to do if your man has already left you? Don’t despair! It is possible to get him back if you choose the right strategy. Stop pushing him to come back, but, instead, show him how much he loses. Don’t let your husband believe that he can be with you and his lover simultaneously. This is what most men try to do. Make your husband sure that if he leaves you, there is no way back for him. However, if he’s gone, don’t rush and postpone making the final decision. Give him a chance and warn that this is the last one. Compassion is the main feature of women rather than men. If the husband will come home exhausted and tired, the woman is more likely to pity him even after he cheated. It is just the woman’s nature, but it doesn’t work for men. For some reason, ladies think that the unhappier they look, the more probably the man will repent and leave his lover. In fact, it is a common myth! On the contrary, the man will never come to the woman who looks bad, leaving his beautiful and happy lover. Therefore, you should always be good looking. Make a new haircut, learn how to hide your disadvantages and visit dancing or aerobics classes. Find out a new exciting hobby for you and try to be happy. You have difficulties right now, so you should support yourself. In 90 % of cases, one of the major reasons why the man leaves is actually his woman. It doesn’t matter whether you want to get your husband back or not, you should analyze and correct your mistakes, because if you marry again, you will repeat the same mistakes and your relationships will be destroyed. The most important thing for every man in the family is respect, admiration, and care. Therefore, you need to surround him with care and support. Be a friend for your loved one, not enemy. You need to understand that your man has left you not because he had a good life. If you didn’t respect him and treated poorly, just accept the situation and let him go. However, if your man was happy with you, and his lover is only a delusion, you have more chances to get him back. All males want reliability and stability in their lives. Therefore, it is very hard for them to change their lives and, moreover, to move somewhere. Even though he probably started to pack his clothes, it may be a signal that he wants to tell you something. Some men come to the psychologist and say that they threatened their wives with the lover just because they want to be respected and valued. Maybe this is your case? Then it is time to change everything and fight for your love! If you work in the same place with his lover, it is better to change the job in order to avoid meetings with her. If you meet her, you will always think “What makes her better than me?” And you will always find some strengths in her and as a result, you will concentrate on your own weaknesses. Unfortunately, many women stop living a normal life when they get to know about their man’s cheating. This is a wrong approach. Probably it was the goal of his lover? Maybe she just wanted to show your man that she is better than you? Fight for yourself and your future! You should release all pain with physical activities, sports, and dancing. Rearrange the furniture in your house – this way you will get rid of the negative energy. Make your home cozy and change the interior. The most important thing you should do is to forgive the mistress, because she has no talent and intellect to create her family. All she can do is to steal other men. You also should forgive your husband, because he is not wise and smart enough to save his family and overcome the temptation. Both of them are poor people, so don’t take offense on them. If you do it, the only person who will suffer is you. 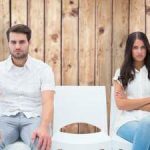 Do you know what is the most common disease of ex-wives? Cancer. It occurs because women feel too much pain and take offense for years. Perceive his cheating as a lesson. Every situation is meant to teach us something. Perhaps your man will start to value you more when he realizes his mistake? Or you will understand that you are strong and independent? Only when you let your husband go, you can get him back. Thus, many women make a mistake when they start screaming and crying and push their husbands to stay with them. And the more the wife pushes him, the more the husband wants to leave her. The spouses should always trust each other. Our thoughts are material: if you always think that your husband may find a lover, sooner or later he will do it. If it finally happens, don’t blame yourself! Have a serious conversation and tell your husband that you understand him and respect his choice but he is the only one who is responsible for his actions. Say that we are all humans, and everybody can make the mistake, but he must decide right now: lover or family. He will not have another chance. Make him sure that he is losing a lot – his home, caring wife and children. And what he will get? A woman who is not smart enough to find the man for herself and prefers to steal the man from another woman? Give him the right to choose in a friendly and polite manner. Tell him that you pity him and can forgive him once, because you still love him. Don’t insult his lover, because in any case, your man will defend her. You also shouldn’t insult yourself and highlight your weaknesses. Your husband will make the conclusion that you were the bad wife, and he will definitely go. Now he should repent, so don’t take the blame. Make your husband realize that he loses you, not otherwise. If he left you, just forget him, because this is the sign that he has never valued your family. Maybe your true love is somewhere near to you now? 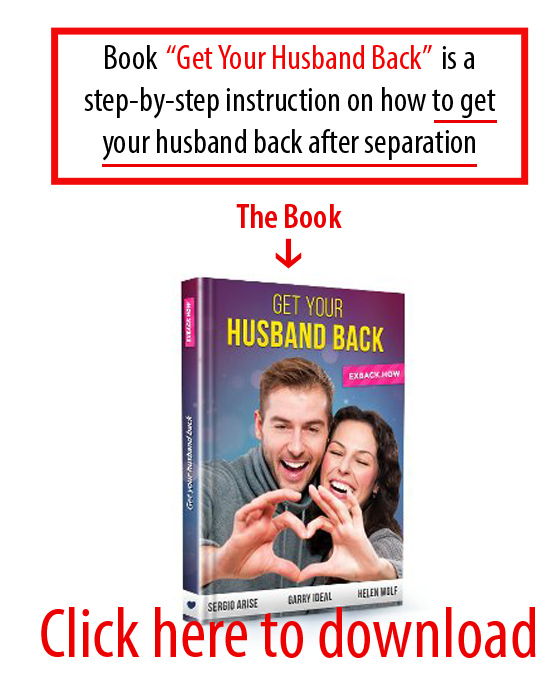 However, if you really love your husband and followed all steps, you will get him back! My Husband Left Me. How Do I Get Him Back?